Machine Size 17.5" X 11.5" X 8.25"
Work Space 8" X 4.4"
Juki's HZL-DX7, a quilting machine built for precision and perfection. This luxury machine comes loaded with time-saving features that produce professional results. Choose from 287 built-in stitches, 15 1-step buttonhole options, one manual buttonhole, and four alphabet fonts. 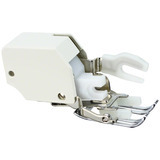 Enjoy convenient free motion quilting features such as the floating presser foot function. 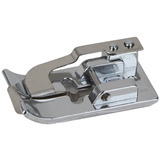 This function raises the presser foot slightly preventing unwanted puckering between stitch areas. The advanced foot control comes complete with a programmable heel switch. 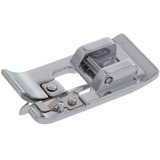 Customize the switch to raise the presser foot, cut threads, reverse stitch, or single stitch. 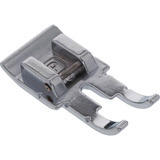 Take the guesswork out of choosing presser feet with the on-screen presser foot recommendation feature. Select your desired stitch, and the HZL-DX7 will recommend the appropriate presser foot on the LCD screen. Enjoy these time-saving features and more with Juki's HZL-DX7. 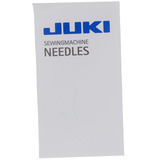 Juki's HZL-DX7 comes with 287 built-in stitches including both decorative and utility options. 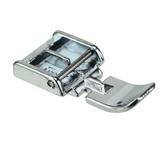 Choose from 15 automatic buttonholes or create a manual buttonhole. Four alphabet/numeric fonts allow you to personalize quilts and other craft projects. 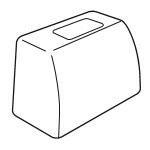 Press this button to lift the presser foot slightly. 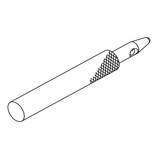 This prevents puckering between stitch areas when quilting or sewing multiple layers of thick fabric. This luxury machine comes with a multi-function foot control. Apply pressure with your heel to engage the heel switch. 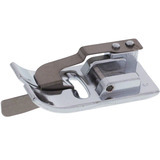 You can customize this switch to perform the following functions: presser foot lift, cut threads, reverse, or single stitch. 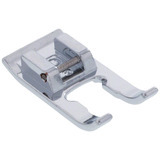 Take the guesswork out of sewing with the on-screen presser foot recommendation feature. Select your desired stitch and the recommended foot will appear on the LCD screen. 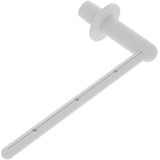 Raise or lower your needle with the press of a button. 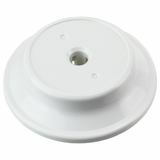 This feature is helpful when sewing corners or curved edges. 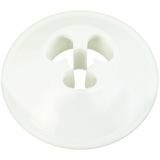 As an added bonus, this button can reduce sewing speeds when held down. 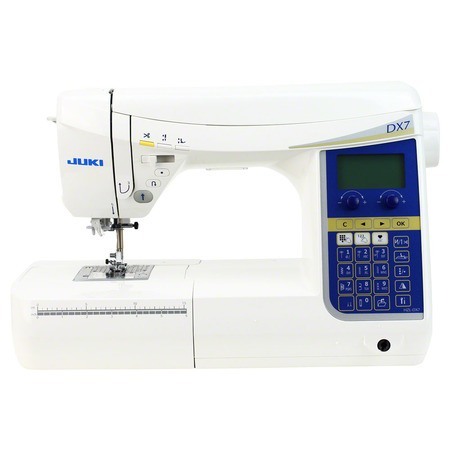 Juki's HZL-DX7 uses a box feeding motion which provides more contact with fabric giving you precision stitches on all fabric types. 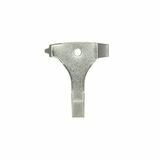 If you've ever sewn thin materials, then you know how handy a straight stitch plate can be. 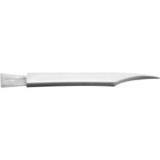 This plate prevents lightweight fabrics from being pushed into the needle plate opening. 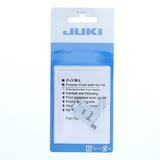 Juki's HZL-DX7 comes standard with a straight stitch slide plate built-in. 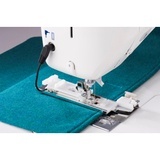 To sew lightweight materials or free motion quilt, slide the straight stitch plate forward. The most common stitches are easily accessible for your convenience. 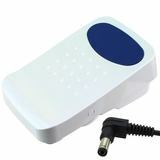 Use the onboard stitch reference chart to select other stitches on the backlit keypad. 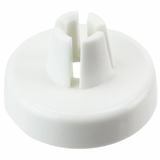 This button can be used for foot control free sewing in addition to sewing buttonholes. The machine will start slowly then gradually pick up speed. Select your desired speed using the control slider which has three options: low, medium, and high. Sew at a max of 1,050 stitches per minute when sewing a straight stitch. Juki's HZL-DX7 comes standard with a large quilting table. 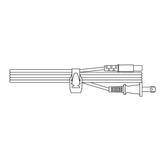 This table measures 21.7in long by 13.1in wide and gives you more support for sewing larger projects such as quilts. In addition to the manual thread cutter, built into most sewing machines, this advanced machine features an automatic thread cutter button. After sewing, press the button to cut both the bobbin and needle thread. 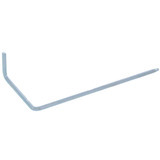 This economic feature prevents unnecessary thread lose. 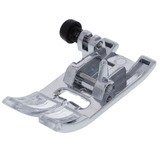 Raise the presser foot using your knee rather than your hands. This device is helpful when sewing projects that require frequent repositioning. 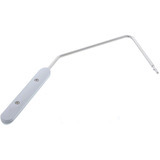 Access the free arm by removing the accessory compartment. 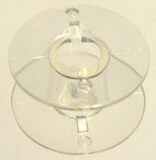 The free arm can be used to sew circular areas which can be difficult to access using a flatbed sewing machine. Hem pants and sleeves using this convenient feature. Open the removable sewing bed to access the hidden storage space. 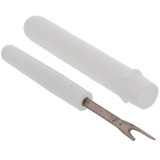 With this feature, you can carry all the necassary tools and presser feet with you where ever you go. Work Space: 8" X 4.4"
Dimensions: 17.5" X 11.5" X 8.25"